Built in 1848, the lighthouse known as the 'Beacon of Hope,' sits 90 metres above the pristine ocean of Bass Strait. The Lightstation grounds are open from 9.00am to 5.00pm daily (except Christmas day). Last entry at 4.30pm. Entry Fees apply. 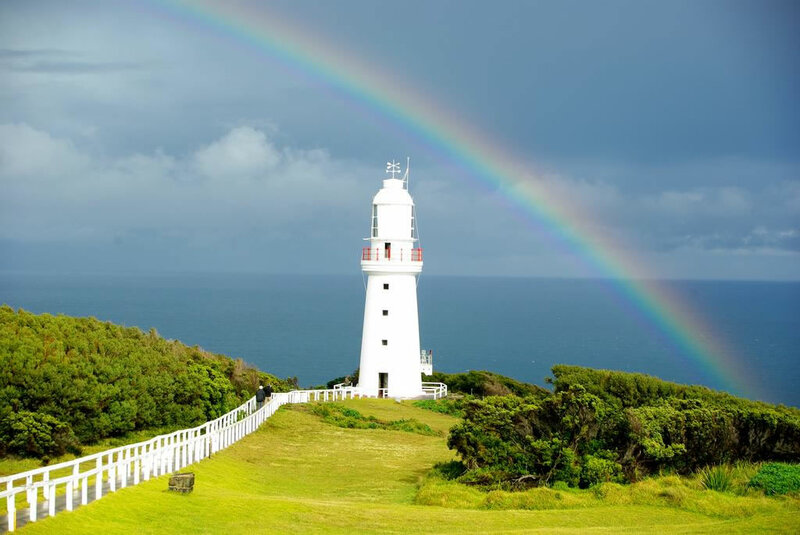 Showcasing a barbecue and views of the sea, Cape Otway Lightstation is located in Cape Otway. Free private parking is available on site. All rooms are fitted with a TV. Certain accommodations feature a sitting area to relax in after a busy day. You will find a kettle in the room. Every room comes with a private bathroom. A range of activities are available in the area, such as horseback riding, diving and fishing. This property also has one of the top-rated locations in Cape Otway!